Tony Bacci played baseball for Head Coach Kim “Hoss” Johnson 1995-96 season. 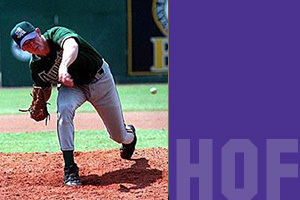 The 6’2 left-handed pitcher helped led the team to a Region IV Championship in 1996. He was named to the All-Region IV team and garnered NJCAA All-American honors for the 1996 campaign. He played in the MLB Minor Leagues 1997-2003, playing for Erie Sea Wolves (Erie, PA), Augusta Green Jackets (Augusta, GA), Les Capitales de Quebec (Canada), Duluth Superior Dukes (Duluth, MN), and the Kansas City T-Bones (KC, Kansas).